Verdure Hautil tapestry shows a work inspired by the tapestries from the 18th century at the Royal Manufacture of Beauvais. Used to decorate royal or bourgeois mansions, these verdures celebrated the beauty of nature to bring the natural elements inside the home or palace. Here we see a scene from the countryside with a river, mansion and detailed foliage of trees and plants. 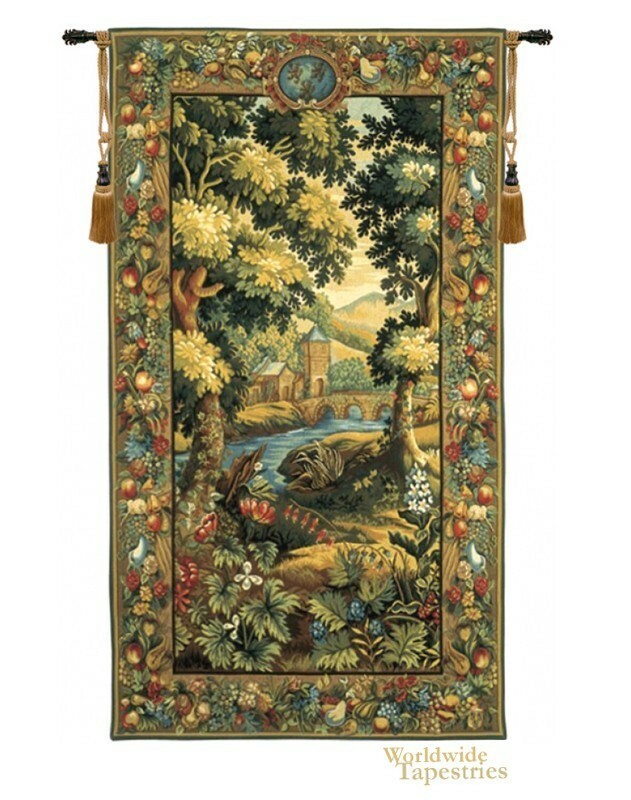 This Verdure Hautil tapestry is backed with lining and tunnel for easy hanging. Note: tapestry rod and tassels, where pictured, are purchased separately.